Carrier Air Wing One (CVW-1) is a United States Navy aircraft carrier air wing based at Naval Air Station Oceana, Virginia, with most of its various squadrons also home based at NAS Oceana. Additional squadrons are based at Naval Station Norfolk/Chambers Field, Virginia; Marine Corps Air Station Beaufort, South Carolina; Naval Air Station Whidbey Island, Washington; and Naval Air Station Jacksonville, Florida. Carrier Air Wing One is assigned to the aircraft carrier USSÊTheodore RooseveltÊ(CVN-71). 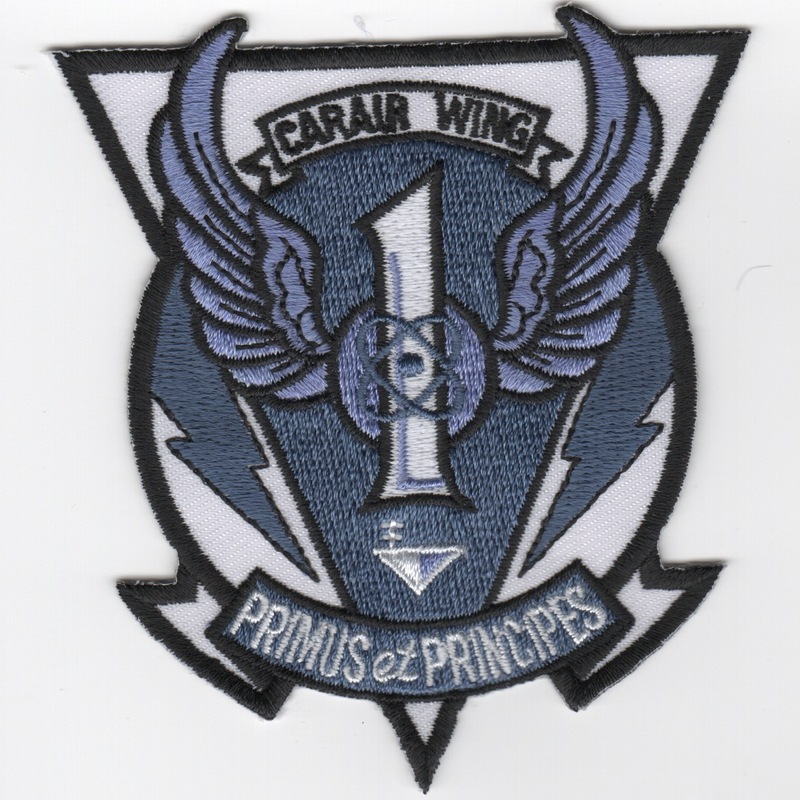 This is the gray/ghost-scheme for the Airwing 1 patch worn on the new uniforms. 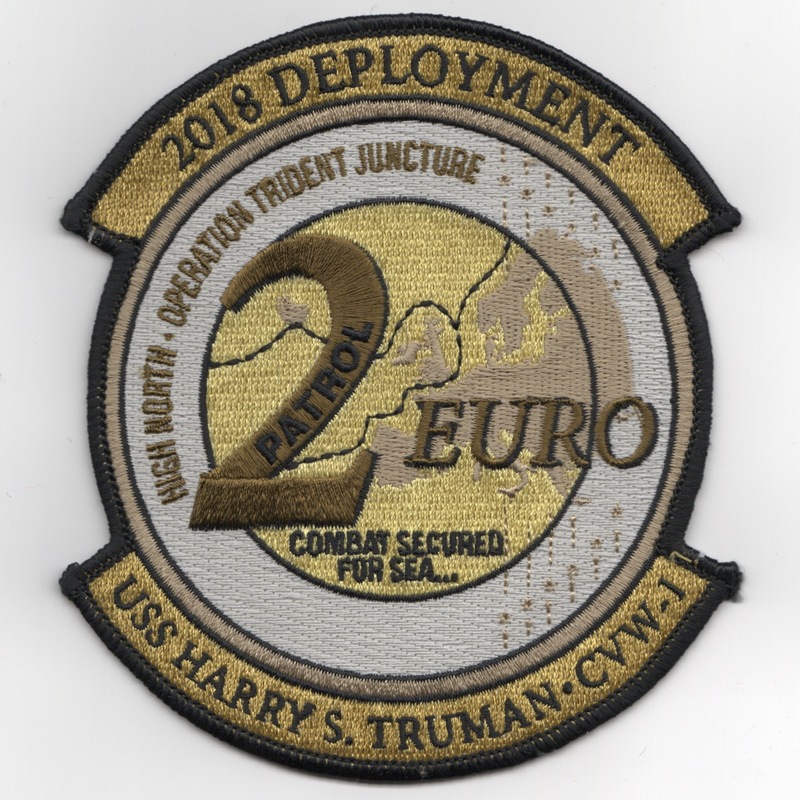 This is the 2018 '2 EURO' cruise patch created for CVN-75 and CVW-1 for their Operation 'TRIDENT JUNCTURE' deployment. It says "COMBAT SECURED FOR SEA" and is a large patch. This patch does not have velcro attached. 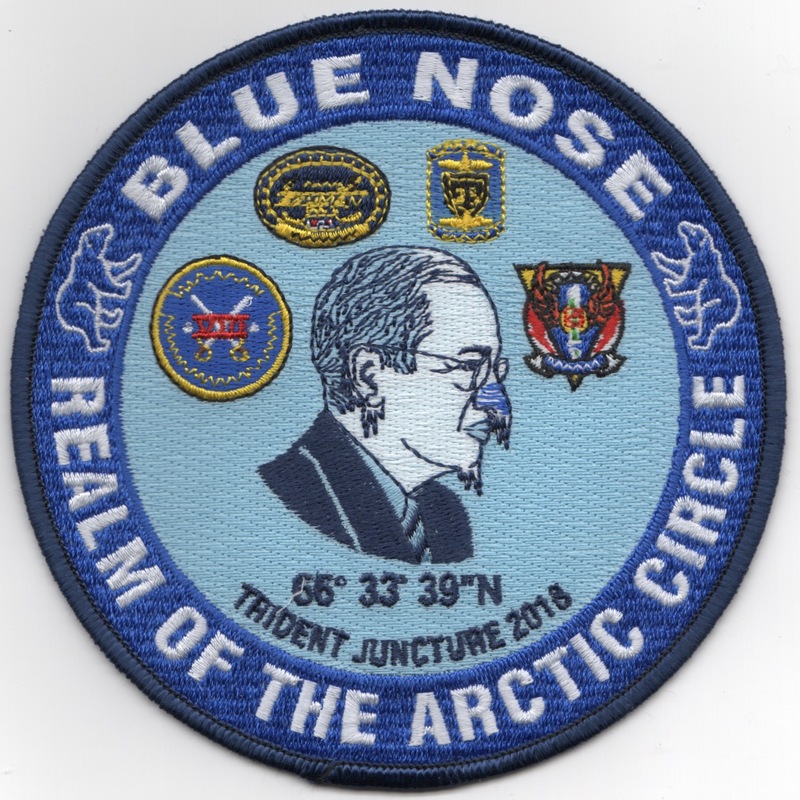 This is the 2018 'BLUE NOSE' cruise patch created for CVN-75 and CVW-1 for their 'TRIDENT JUNCTURE' deployment. It says "REALM OF THE ARCTIC CIRCLE" and is a large patch. This patch does not have velcro attached. 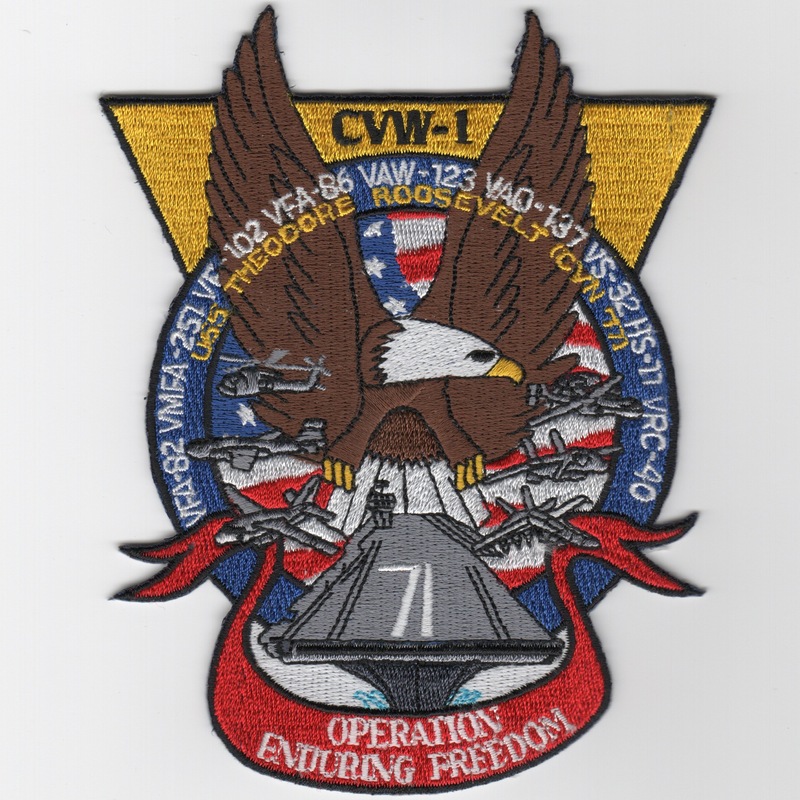 This is the 75th anniversary patch created for CVW-1 with the dates 1938 - 2013 along the top. 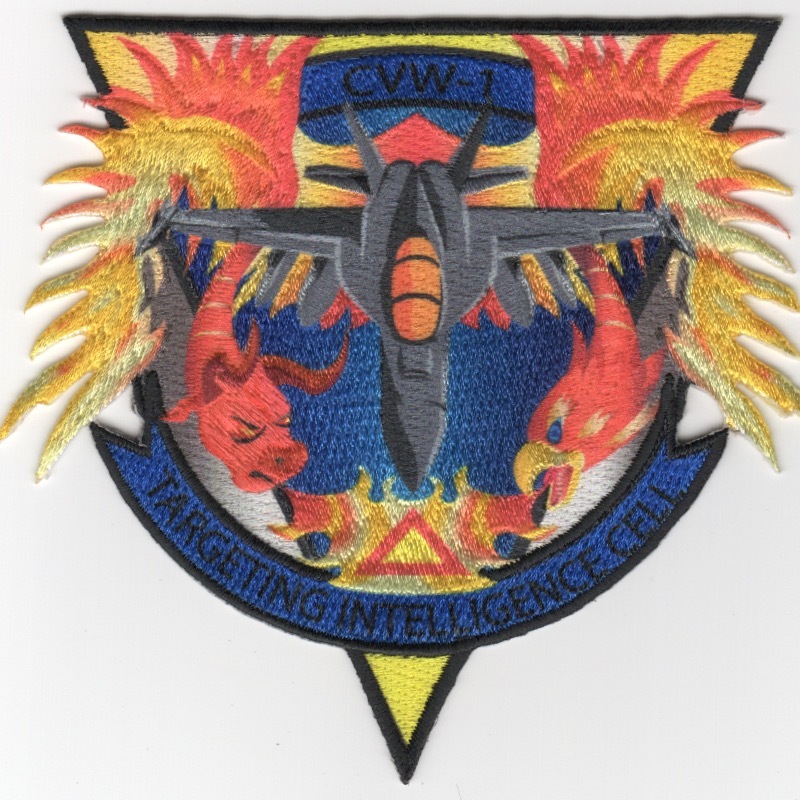 Another AV8RSTUFF Creation: This is the sublimated patch created for the Airwing 1 "Targeting Intelligence Cell" (TIC) that determines targets for the different missions. This uses the hybrid technology and is a fantastic looking patch. It does not come with velcro attached. 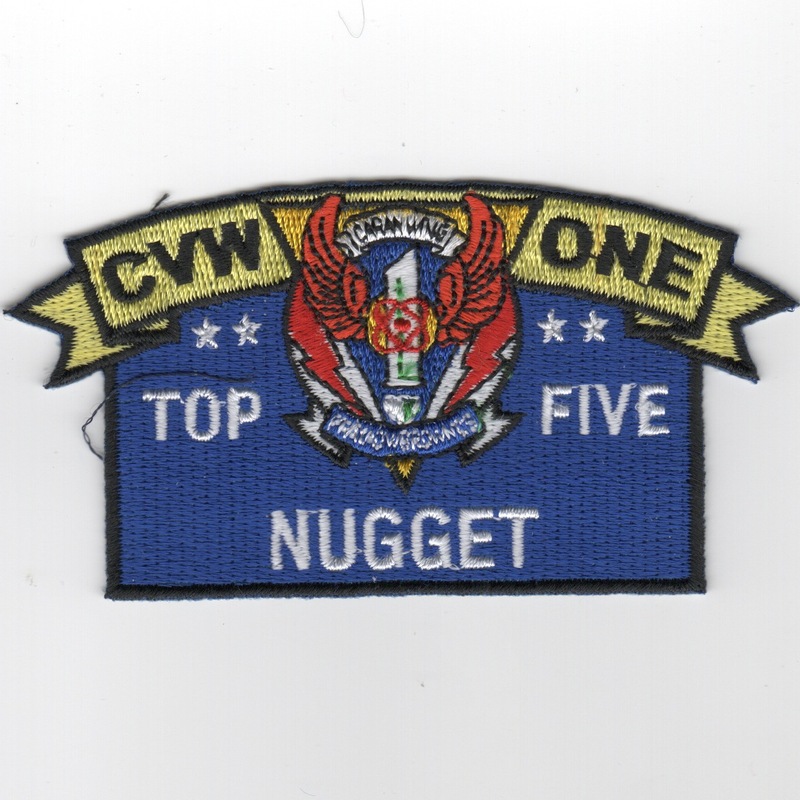 This patch is given to the "TOP 5 NUGGET" (FNG) in landing scores each cycle. Typically, there are 3-4 cycles per cruise. 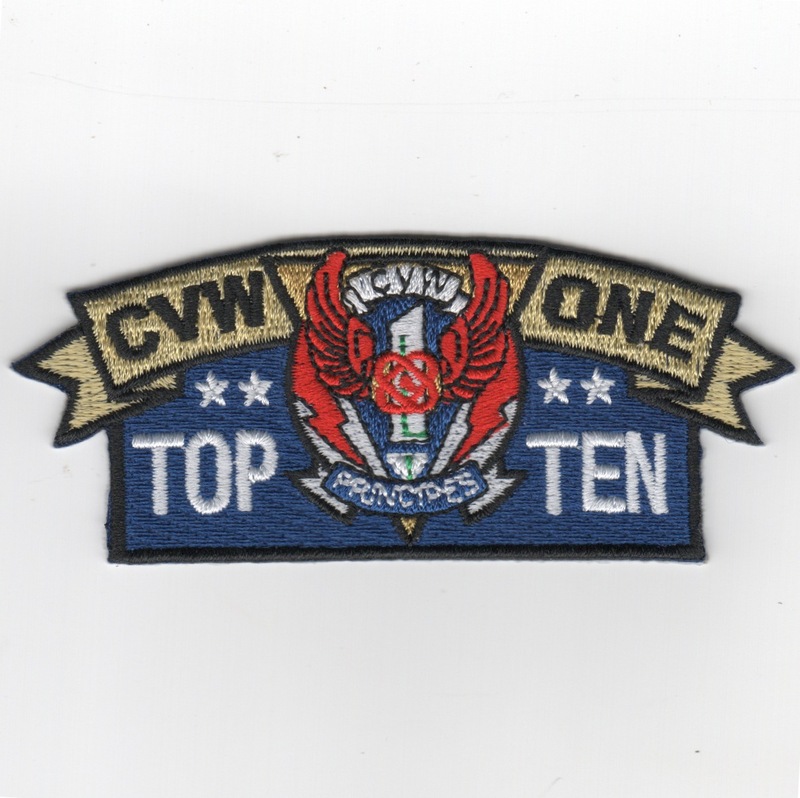 This patch is given to the "TOP 10" pilots in landing scores each cycle. Typically, there are 3-4 cycles per cruise. 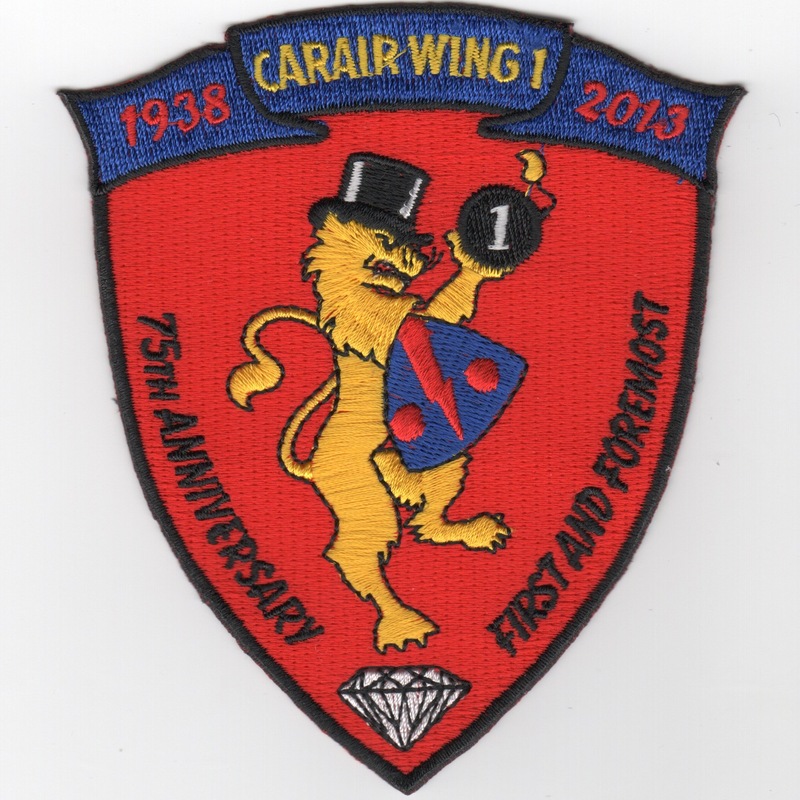 Homepage | Order Airwing 1 Patches!